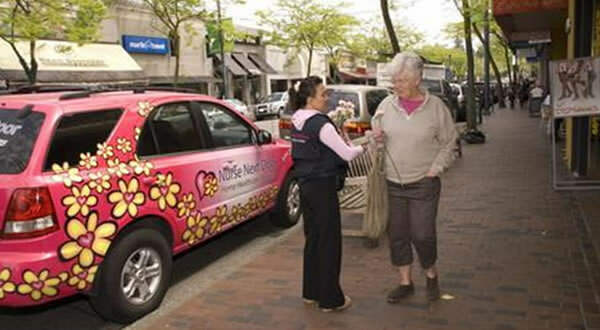 Nurse Next Door is a home care franchise that provides in-home care for clients, most of them seniors, who need everything from companionship to end-of-life care. Startup costs range from $134,600 to $180,000. We are a company that occupies a rapidly growing market niche positioned to meet one of the biggest sociological developments of the last century: the “silver tsunami” of an exploding elderly population as the Baby Boomers reach retirement age. There ends any similarity between us and other North American home care franchise companies. We reject — emphatically — the notion that people need to surrender their enjoyment of life because they’ve reached retirement age. They’ve lived full lives and gathered volumes of wisdom and experience. It’s a cause for celebration! That’s why the key question we ask every client isn’t “What’s bothering you?” or “What time do you like breakfast?” but “What’s the one thing you used to love to do that you no longer do?” We’ve helped countless clients rediscover activities and interests they thought they had lost forever — and enriched their lives immeasurably by asking that simple question. Nurse Next Door is different because we’re about caring, not just health care. Other home health care companies offer specific services and construct their care plans around them; in other words, they’re task-oriented and care for clients based on how well their needs match the available services. A Nurse Next Door home healthcare franchise flips that dynamic on its head. We start with the client. What does the client need? It’s fine to assess Edgar’s treatment needs for his diabetes and sciatica and administer them efficiently and with care. Nurse Next Door goes further. If Edgar loves to feed the ducks in City Park, we take him there and bring the bread. If he just loves a good pastrami sandwich from Goldman’s Deli twice a week, we make it happen (as long as it’s OK with Ed’s dietician!) and make sure they include the kosher pickles. We meet clients’ individual emotional and psychological needs as well as the physical and medical ones. Nurse Next Door also cares for families by taking pressure off of grown children, who often become caregivers for aging parents. That’s a fraught relationship, and Nurse Next Door frees daughters and sons to act as the children of their loved ones, not as their daily caregivers. b) growing — quickly. Seniors made up 12.9 percent of Americans in 2009, roughly one of every eight. By 2030, that percentage is projected to be up to 19, or nearly one in five. Nursing homes and assisted living facilities are staggeringly expensive — the average cost of a nursing home is close to $50,000 per year and rising in the States, and assisted living is even more costly. Most private insurance policies don’t cover long-term care. Neither does Medicare. It’s also a highly fragmented sector, with the 50 largest companies — none of them franchised — generating less than a quarter of the home health care industry’s $57 billion in annual revenue. There is a huge opportunity to capture market share by providing superior service. Someone with a tender touch and the tenacity of a bulldog. Someone who acknowledges the challenges of home health care but has optimism and good cheer to burn. Someone who’s extroverted but self-aware. Someone nimble enough to find better ways to serve clients but disciplined enough to follow a well-established system. Please call David Sparks directly at (877) 800-3094. 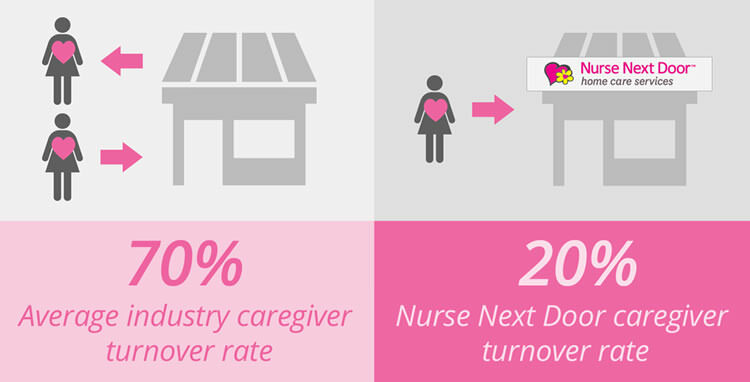 Nurse Next Door Home Care Franchise is currently accepting inquiries from the following states: Alabama, Alaska, Arizona, Arkansas, California, Colorado, Connecticut, Delaware, Florida, Georgia, Hawaii, Idaho, Illinois, Indiana, Iowa, Kansas, Kentucky, Maine, Maryland, Massachusetts, Michigan, Minnesota, Missouri, Montana, Nebraska, Nevada, New Hampshire, New Jersey, New Mexico, New York, North Carolina, Ohio, Oklahoma, Oregon, Pennsylvania, Rhode Island, South Carolina, Tennessee, Texas, Utah, Virginia, Washington, West Virginia, Wisconsin, Wyoming.